Latest News | Annapolis Royal House & Garden Tours | Annapolis Royal, Nova Scotia – Experience our Community in Bloom! 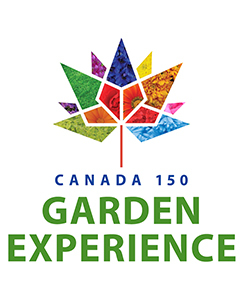 The Annapolis Royal House & Garden Tour date has been set, so mark it in your calendars now – Saturday, July 6, 2019. In fact, plan to spend the weekend! The theme of this year’s tour will be Innovation and Transformation, with feature properties in Annapolis Royal and Granville Ferry ranging from heritage restoration, to modern construction, to heritage properties that have been transformed to give them a new life and purpose. We don’t want to give away too much at this point… we will announce more about our feature properties in the spring. Book a room locally soon so that you can enjoy the House & Garden Tour as well as the iconic “Wine & Roses” event the evening before and some of our Sunday Series of activities on the day after the House & Garden Tour. July 5-7 is the perfect weekend for an Annapolis Royal getaway weekend. I had the opportunity to have an advance tour of the 2018 feature properties of the July 7 Annapolis Royal House & Garden Tour. Wow! What a great selection, and such enthusiastic homeowners as well. Add to that a host of welcoming volunteer docents and the day promises to be a wonderful experience. The properties vary from “urban” (if there can be such a thing in wee Annapolis Royal) to “rural” which of course can include many area gardens. With this diversity, this year’s event has been subtitled “Town & Country”. It will be a City Mouse, Country Mouse type of experience, showcasing the best of both worlds. The feature properties are open from 10am-4pm. Tickets can be purchased at the Annapolis Royal Historic Gardens, 441 St. George Street, Annapolis Royal or by calling 902-532-7018. For further information, use the menu navigation at the top of this page. Join us Friday evening for Wine & Roses, where you can enjoy wine and hors d’oeuvres in the most beautiful of surroundings while chatting with friends and enjoying the music of Noelle Lucas. The weather forecast is looking a bit dodgy, but we are hoping for the best. If it decides to rain on our parade we will move food and wine service to the Cafe and Interpretive Centre. Bring an umbrella so you can stroll the Gardens comfortably in either case. Oh yes, and something new this year in addition to great local wine and tasty treats from the Elm Tree Cafe… we will have local hard cider as well by Casanova. If you did not buy your ticket in advance, don’t fret – we will have tickets available at the door. Or give us a call at 902-532-7018 to pre-purchase. We are pleased to announce the selection of properties to be featured on the 2018 Annapolis Royal House & Garden Tour. We have a mix of styles and settings, as well as a few surprises along your journey. Please read more on our Feature Property page. And here, to tantalize, are some random shots from the 2018 Feature Properties, as submitted by the homeowners. This is a sequel to my first post, Sneak Preview – Part 1. As I poked around and chatted with the owners, I came away very excited about the upcoming tour. The various architectural features, and garden features, are just so interesting. Add to that the opportunity for a take-away… a piece of one of these heritage buildings for your very own. And add to ALL that some great “random acts of theatre” compliments of the Annapolis District Drama Group’s cast from The Railway Children, and you can understand why I am so excited. It’s going to be a great day – hope you can make it. Just hit the “Buy Tickets Online” button on the right hand side of this page to buy online. Or give us a call at 902-532-7018. Order by end of day July 6 and save! In preparation for our upcoming Annapolis Royal House & Garden Tour (July 8, 2017), I have toured several of the feature properties – a sneak preview. All I can say is… Wow! I learned so much that I had never known about these properties (and since I am FROM Annapolis Royal, I had considered myself reasonably knowledgeable about the local houses… lesson learned.) And I also very much enjoyed the glimpse into the interests and hobbies of the current owners, very evident in what they have done with their properties. a collection of needlework which graces the walls of one home, stitched by the owner. Gorgeous work! gardens that demonstrate how to battle the urban deer issue, and win! I will share some random photos with you, to give you just a glimpse of the offering for Saturday’s event. Then I invite you to make plans to head to Annapolis Royal this weekend. Stayed tuned for “Sneak Preview – Part 2” to be released in another day or so. For more information, visit the main House & Garden Tour Page. For more information, visit the main House & Garden Tour Page. To buy your tickets now, hit the “Buy Tickets Now” button on the right hand side of this page. Advance sale price is good through Thursday – full price after that. I had the pleasure of sneaking a peek inside several of the properties being featured on this year’s House & Garden Tour. Wow! There are a lot of really interesting architectural features… special furniture, art, needlework… and lovely gardens as well. I will share more in a future post, but for this post I just want to tell you about My Favourite Room. This room is small, on an upper floor. Just big enough for a rocker, a small table, a perhaps a cat curled up on the floor. The late afternoon sun was shining through lacy curtains, casting just enough light. I can picture myself spending hour after hour in this wee room, with a book in one hand and a wine glass in the other. Oh, and maybe the kitty cat would be curled up on my lap too. Volunteers and Staff at the Annapolis Royal Historic Gardens are pleased to announce details for the 2017 Annapolis Royal House & Garden Tour, on Saturday, July 8, 10am-4pm, highlighting a full weekend of activities. This year’s edition celebrates Canada’s sesquicentennial, featuring properties spanning the past 150 years. Notable highlights include a confederation period Greek Revival, an 1882 brick Queen Anne Revival, two late 1890s homes and an award-winning restoration of the 1913-14 Annapolis Royal Train Station. In addition, visitors will visit two special Riverview Drive gardens, as well as the Historic Gardens where a Victorian Tea will be hosted in the afternoon. For more information on this year’s lineup, head over to our Feature Property page.